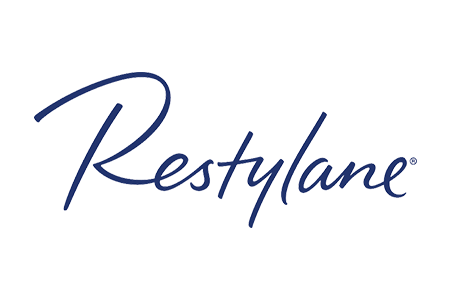 Restylane® is a hyaluronic acid dermal filler used to treat moderate to severe facial wrinkles and folds, including nasolabial folds (smile lines) and marionette lines (lines from the corner of your mouth down towards your chin). Restylane® also helps replace volume loss in the lips, giving you a smooth, plump pout. Restylane® mimics the hyaluronic acid that is already naturally produced in your body. How long do Restylane® treatments last? What are the potential side effects of Restylane®? After your treatment, you may experience side effects, such as swelling, redness, pain, bruising, headache, itching at injection site, and tenderness. These are typically mild in severity and normally last less than 7 days in nasolabial folds and less than 14-18 days in lips. Restylane® is for mid-to-deep injection into the facial tissue for the correction of moderate to severe facial wrinkles and folds, such as nasolabial folds. Restylane® is also indicated for injection into the lips in patients over the age of 21.